The SMH Foundation supports Slidell Memorial Hospital and its efforts to improve the quality of life in our community. We work with SMH to ensure quality care is available close to home by identifying equipment needs and innovative program opportunities. The services we fund bring dignity and confidence to patients during their times of need, and we provide critical assistance to children and families. Through annual fundraisers and direct donations, we depend on the community’s generosity to raise funds to meet these important needs. The SMH Foundation is a non-governmental public charity that works to provide financing for SMH’s education and community outreach programs, including the Parenting Center, the Employee Benevolent Fund, cutting-edge medical equipment and more. 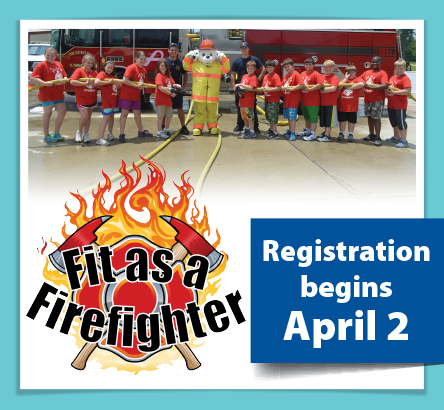 Fit as a Firefighter, a summer day camp focused on nutrition and fitness that builds self-esteem for local children ages 8-12. Handwashing program at local schools helps prevent the spread of sickness and disease. Support to the Slidell Memorial Hospital Regional Cancer Center funds services that improve the emotional well-being of patients, as well as state-of-the-art equipment and treatment options. St. Tammany Cancer Fund and Lori Hoffman Von Matre Appearance Center provides wigs and other items for patients undergoing cancer treatments. Funds provided to SMH Community Outreach help improve the health of more than 5,000 children and their families through screenings and education. Funding for the Women’s Imaging Center helps provide imaging services in a peaceful, spa-like atmosphere, as well as programs focused on women’s health education. The SMH Foundation subscribes to the Donor Bill of Rights and the AFP Code of Ethical Principles and Standards. AFP Code of Ethical Principles and Standards ©1964, Association of Fundraising Professionals (AFP), all rights reserved. Reprinted with permission from the Association of Fundraising Professionals. AFP Donor Bill of Rights ©2013, Association of Fundraising Professionals (AFP), all rights reserved. Reprinted with permission from the Association of Fundraising Professionals.